Something you may not consider as a vital part of your electrical safety PPE is your work boots. Surprisingly though there are a number of considerations you need to make, and depending on your environment some can be life threatening. Here are 3 ways work boots protect against electrical hazards and some of the factors you should consider when deciding what's right for your workplace. Why wear work boots anyway? First and foremost work boots are designed to protect your feet from objects that can puncture the sole, such as stepping on a nail, or objects crushing your toes, like a dropped block of cement. 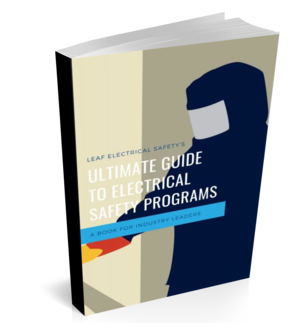 When dealing with electrical hazards your work boots should only be treated as a secondary source of protection, meaning you always need to consider using things like rubber insulated gloves first. Have a look at the markings on your boots. A white square with an orange omega symbol inside indicates that the sole and heel have been designed to withstand 18,000 volts at 60 hertz for 1 minute with a maximum of 1mA leakage current during that span. Well, before you go working on live electrical equipment with one hand behind your back you need to think about the environmental conditions your boots have to deal with. Potentially they are covered in water, mud, brine, or worse... any of these things that can reduce the resistance your boots provide to electric shock. On the flip side if you work in a facility where the manufacturing process can generate and store static electricity then you may want to consider a different type of boot. Processes used for bag making, packaging, and laminating can produce electrostatic discharge injuries that are the same as those produced from energized electrical equipment... the worst being ventricular fibrillation. For this hazard, you will want to choose boots designed with the static discharge (SD) properties. The yellow rectangle with a green "SD" and grounding symbol indicates the boots are made with an antistatic compound capable of dissipating static electricity in a controlled manner. In industries that have flammable and explosive environments, such as coal mining, the greater hazard might not be electric shock. It might be setting the place on fire! This is yet another case to consider the "SD" boots. Having a boot that is made from a heavy duty leather is going to also provide protection from a third hazard, arc flash. You probably won't find a rating on your boots as to what incident energy level they are rated for but I can say with a high level of confidence (from speaking with industry experts and reading articles from private testing labs) that a good quality heavy duty leather can provide protection up to 40 cal/cm2. Whether it's electric shock, dielectric energy or an arc flash your work boots can help prevent injury. Make sure you choose wisely and understand the risks you face. Also, remember that work boots are never to be treated as a primary source of protection from any electrical hazard, the stakes are just too high when it comes to electricity.